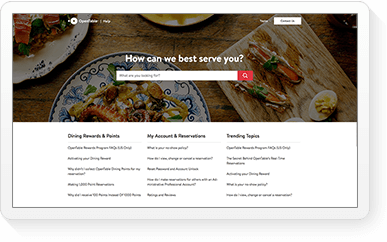 Help your direct sales channel to sell faster and smarter, and make insightful decisions with built-in intelligence. Don’t just make your quota. Crush it. The deal is in the details. 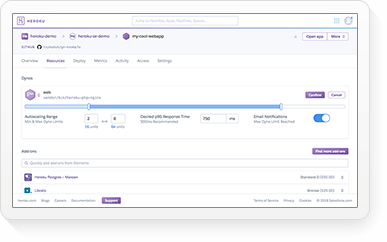 Sales Cloud Lightning gives you visibility into how to improve win rates and allows you to customise the sales process to your team. 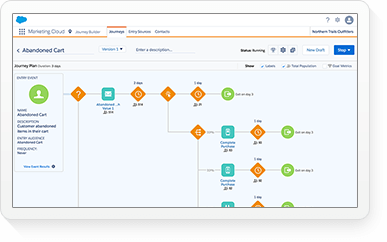 Now you can drive process, productivity, and channel sales strategy that works for everyone. 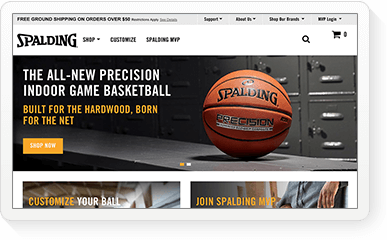 Manage your team’s pipeline from lead to cash. 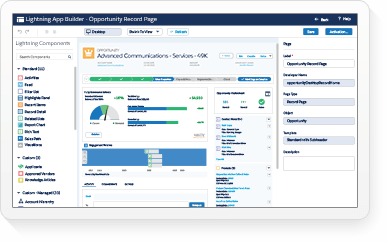 Sales Cloud Lightning can help your team convert more leads into opportunities by providing best practices and relevant documents for each stage of the lead journey. 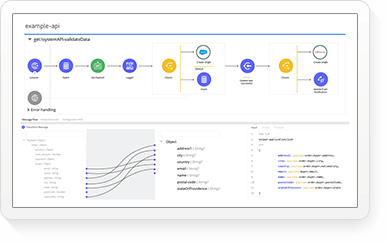 Understand team pipeline at a glance, and spark internal discussion using the ultimate collaboration platform. See the future. Forecast accurately. Now you can get rapid updates to make smarter decisions. 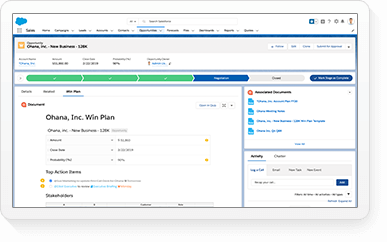 Forecast accurately with Sales Cloud Lightning by rolling up individual contributions, and easily apply your judgment to forecasted amounts at the rep, period, and summary levels. 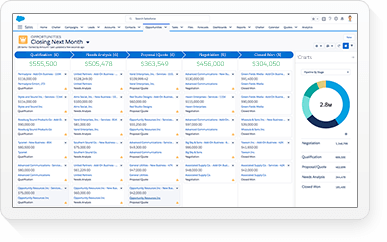 Get a real-time snapshot of the health of your business with detailed reports and flexible dashboards. 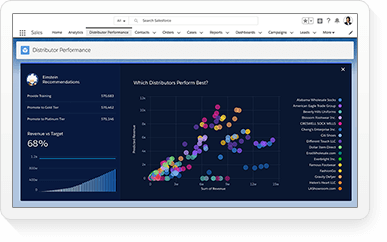 Gain a real-time view of your entire team’s forecast, including in-line forecast adjustments and visibility up and down the management hierarchy. Model your sales territories with logical, flexible structures to map reps and customers for maximum revenue. 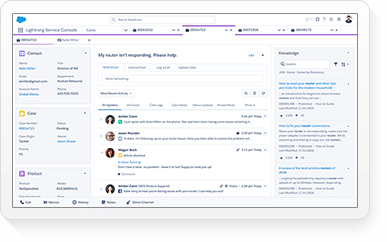 Spark collaboration with social tools built right inside Salesforce. 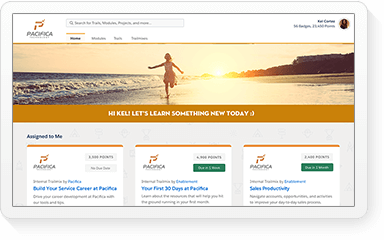 Find experts, share competitive data, and more to help sales teams succeed anywhere.